In life, we make decisions everyday. And in the context of running a business, decision-making gets even more serious in nature, as the resulting outcome would affect a whole organization, its performance, its direction or its employees. Following are visual decision making techniques that you can use during different stages of decision-making. Each technique is provided with an editable template that you can click and customize online during your decision making process. The decision making process helps business managers find solutions to problems by exploring the different options available and selecting the best alternative out of them. 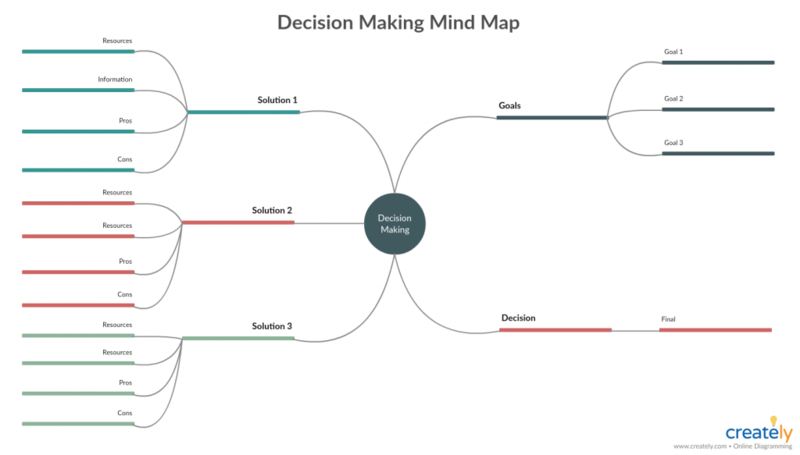 These decision making techniques will help you accelerate the process by simplifying each step of the decision making process. Before you make a decision, you need to examine the situation or the issue that requires you to make a decision in the first place. See who is affected, what caused it and how you should approach it. 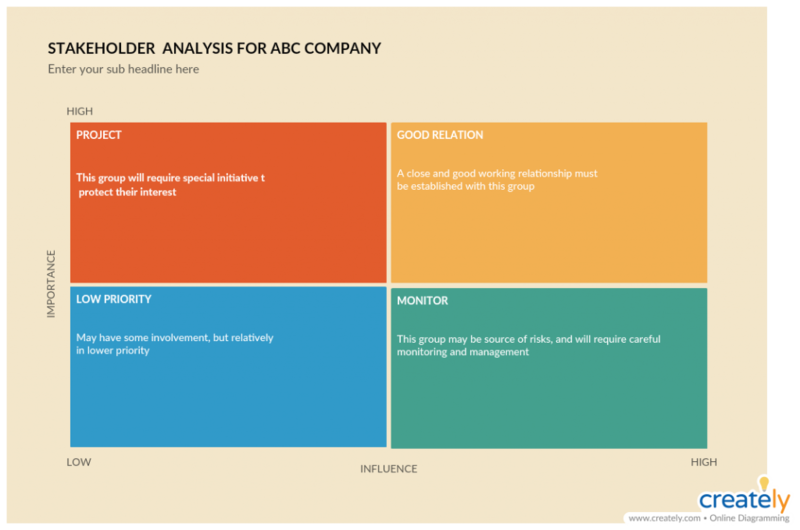 Using a stakeholder analysis you can see who you should involve in the decision making process. You might have to rely on other stakeholders for their input in making the decision, in which case it’s better to conduct a stakeholder analysis to identify who you should get help from. The Vroom-Yetton Jago decision-making model is another tool you can use to determine whether you should involve others in the decision-making process or you should do it alone. There are situations where the leader is required to be the sole decision-maker while in some situations the involvement of the groups is necessary. The Vroom-Yetton Jago model helps identify the best management style you need to use during various situations. Learn how you can apply the model in your decision making process here. Now you know who to involve in the decision-making, it’s time to understand the situation you are dealing with. 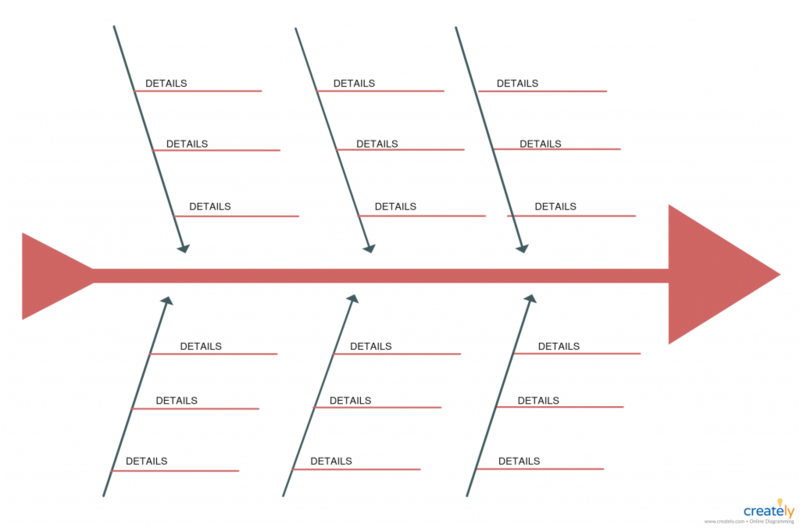 Two tools that can help you with this are the fishbone diagram and the 5 whys analysis. Both of these tools help in getting to the origin of an issue and finding the root cause of things. 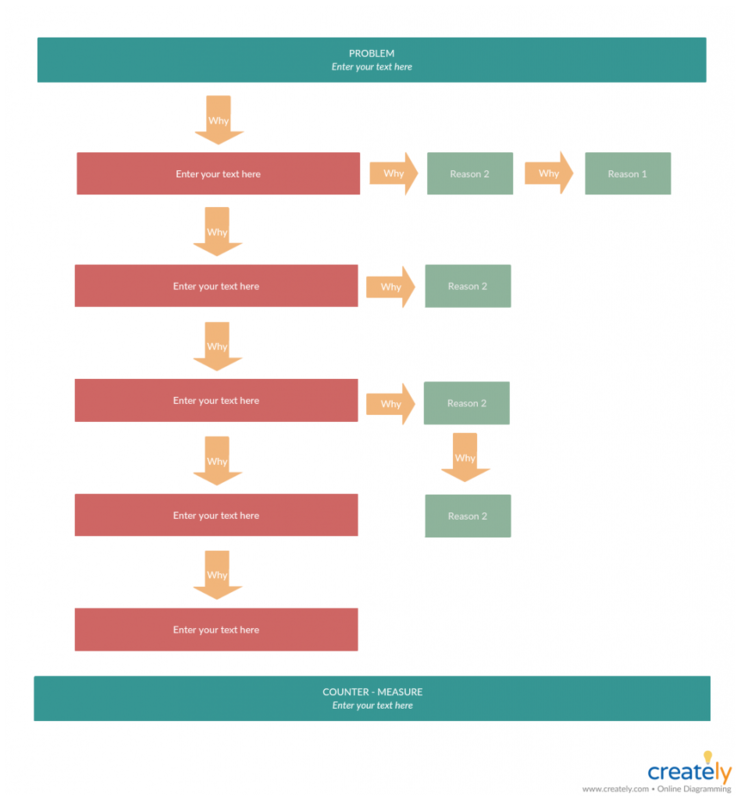 Fishbone diagram or the cause and effect diagram is great with helping you isolate the root cause of a problem. Here’s how you can use this tool to solve business problems. 5 Whys Analysis help you narrow down the information you have gathered and find the last few causes of your problem by asking ‘why’ 5 times. Once you have an idea about the situation or the issue, it is easier to generate alternative approaches to find a solution. You can use the following decision-making tools to explore your options individually or in groups. Mind map is a powerful tool that helps you capture thoughts in your head or ideas thrown around during a group brainstorming session. You can also use it to categorize your options and further examine them by analyzing different related elements. 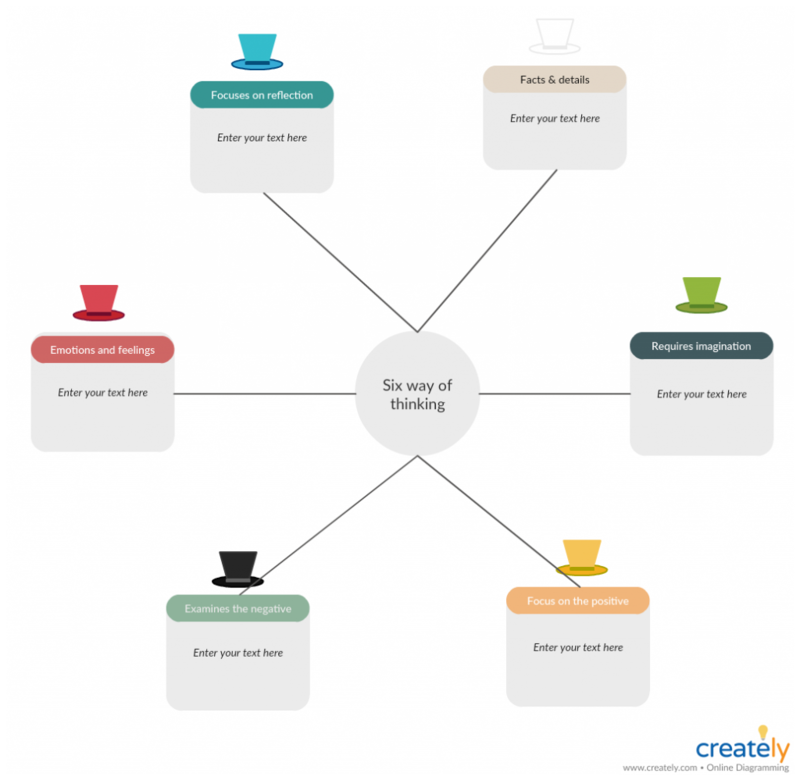 Six thinking hats is another useful technique that provides direction to decision making and group thinking. It helps look at the situation you are analyzing from a range of perspectives and find alternative solutions from everyone involved. Here’s how to use the six thinking hats technique. 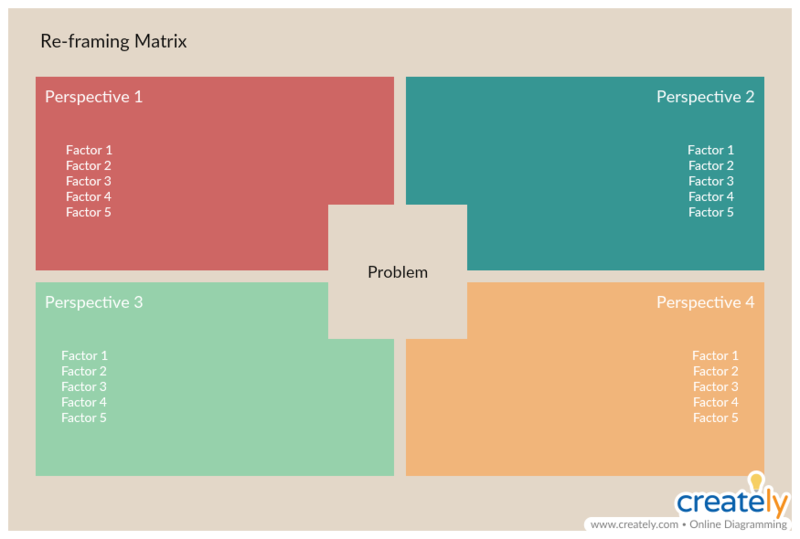 The reframing matrix is another tool that helps you look at business problems from a number of viewpoints. It takes into consideration the different perspectives of several people with different experience. This allows to generate multiple creative solutions for a problem at hand. Product perspective: Is there anything wrong with your product or service? With its quality or the estimated price? Does it fulfill the needs of the customers? Planning perspective: Is there anything wrong with your product plans, sales plans or marketing plans? People Perspective: Who are the people affected by the problem? What do they think? Potential Perspective: How can you increase the potential sales and marketing results? How can you boost productivity? 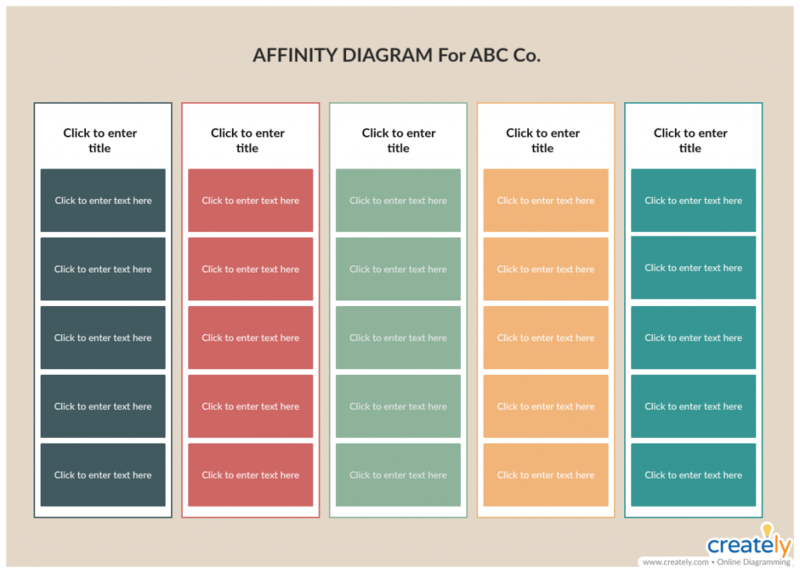 Now that you have gathered a lot of information about the situation, you can use an affinity diagram to organize them into categories. By doing so you and your team can quickly identify patterns or themes that will help analyze the situation easily. Now that you have come up with a number of different alternatives, it’s time to evaluate the desirability and the feasibility of the different options along with the risks that might be involved. 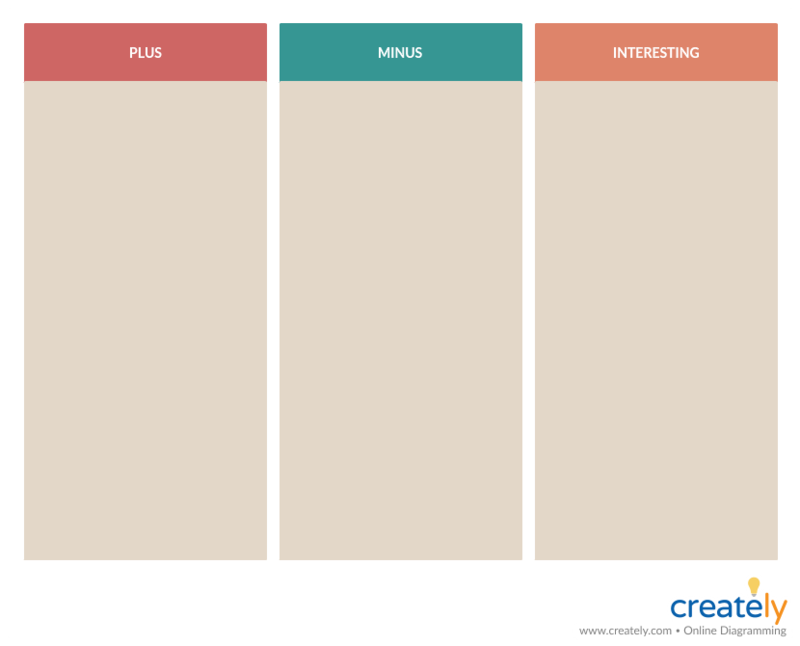 This is a simple tool that you can use to evaluate the pluses, minuses and implications or the Interesting things involved with your options. By comparing these aspects of each alternative option, you can decide which one is the best. Most decisions you have to take involve risks, that’s why you need to assess the risks involved with them before you go ahead. This way you can take precautions. Check out our post on Risk Management Techniques to get an idea about the types of tools you can use to evaluate the risks associated with your decisions. 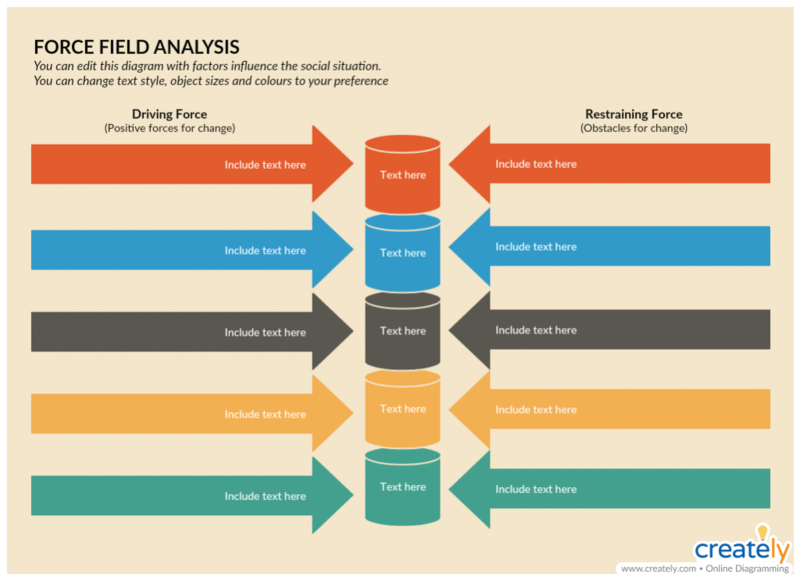 Force field analysis is another powerful decision making technique that helps identify and analyze the forces for and against change or the implementation of a proposed solution. Check out our article on Change Management Tools to learn how to use the force field analysis along with other tools used to facilitate change management. 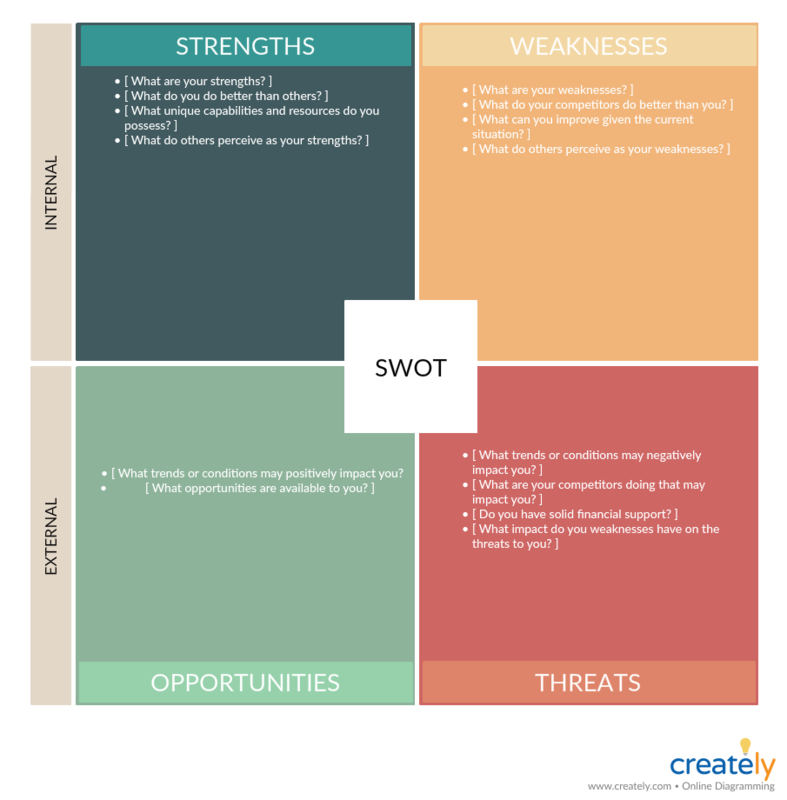 SWOT analysis is used to analyze the internal factors such as strengths and weaknesses and external factors such as opportunities and threats affecting an organization. You can use this decision making tool to analyze the strengths, weaknesses, opportunities and threats related to your alternative options. Even after evaluating the desirability and the feasibility of the options, you might still end up with several good alternatives at hand. While you can apply a combination of them as your solution, this might not be practical all the time. You can use the following decision making techniques to decide which is the best option to move forward with. Decision trees help visualize the alternative choices and every possible outcome related to them. It allows you to assess the value of outcomes and possibilities of achieving them. This, in turn, helps make a better decision. 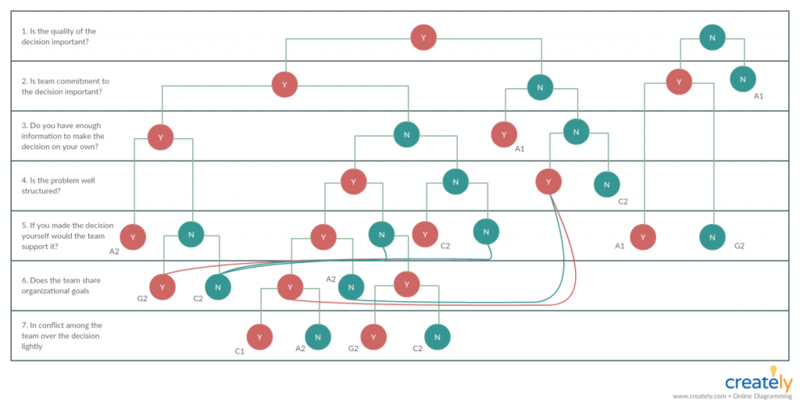 Learn about using decision trees in more detail here. 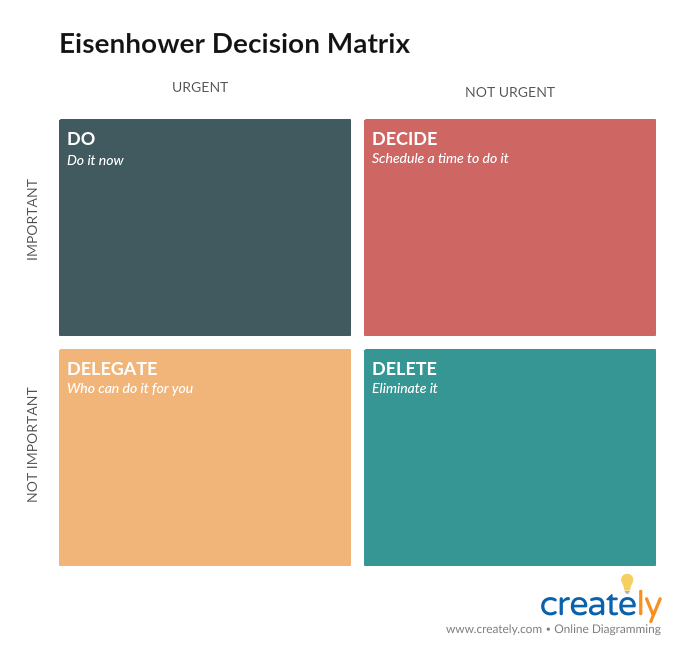 When you have different tasks to execute and you can’t decide which one to go ahead with, you can use the Eisenhower matrix to decide what is important and not and what is urgent and not. It will help you make more productive decisions by eliminating options that does not help you accomplish your goals. What Other Decision Making Tools Do You Use? Here we have covered several decision making tools that you can use during the different stages of decision making. Whether you are doing it alone or with the help of a group stakeholders, you can rely on these decision making methods to make well-informed decisions faster. What other decision-making techniques do you use to solve problems and make business decisions? Do let us know in the comment section below. Hey Amanda! This side is Riddhi Shah and I have just popped in one of your articles and really found it interesting. Running a business is a very difficult thing to do, as it requires the ability to make good decisions and to achieve spot at good rankings in the market. Business analyst are required to engage in as it is the main task that defines the current state of the business. One wrong decision can affect the entire company. Business intelligence tools help to structure the data and reveal important trends. The visual techniques and tools that has been mentioned in the article are very important and efficient. I have had a great time reading this informative article and definitely looking forward to reading more such blog posts from your end. Hi Riddhi, Glad you found the post resourceful. Appreciate your feedback.